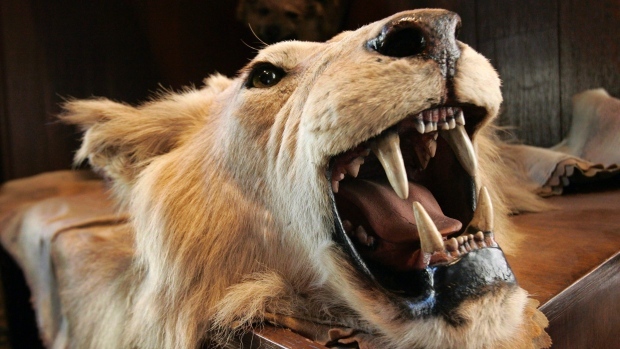 TORONTO -- An African trophy hunting show that is expected to bring hundreds of hunters from across the globe to a venue north of Toronto this weekend has raised the ire of animal rights activists. African Events Canada, the organizer of The Africa Show, says the two-day event in Vaughan, Ont., offers Canadians an opportunity to book trips to Africa where they can hunt animals such as lions, leopards, elephants and hippopotamuses. Activist group Animal Justice says trophy hunting is a cruel and outdated practice that should be stopped in favour of environmentally friendly activities like eco-tourism. The group has launched an online petition against the event and is vowing to protest outside the venue if organizers go ahead with the show. The owner of African Events Canada says the Animal Justice threats forced a hotel -- where the show was originally scheduled to take place -- to cancel the booking. Birgit Johnstone says animal rights activists don't understand that trophy hunting has economical and ecological benefits for the local population in Africa. "Trophy hunting brings in more money than plain meat hunting because you have the trophy hunter who pays for his trophy, pays for accommodation, pays for his flights, pays staff tips, pays for other excursions in the country and taxidermy work and that's just him," Johnstone said. Without trophy hunting, she said, the locals would turn to poaching to earn a living. Animal Justice spokeswoman Anna Pippus called those claims "outrageous." "It's hard to know where to start. If they're serious about wanting to protect animals they should start by not killing them," she said. African Events Canada had to find a new venue for a second show set for Saskatoon on Jan. 23-24 after a similar petition by Animal Justice led to the cancellation of the event by the Saskatoon Inn, Johnston said. A third show is scheduled to take place in Calgary on Jan. 30-31. Johnstone said she'll welcome the protesters outside the venue in Vaughan this Saturday. "If there are any of them that are level-headed enough to come in and have a look and actually be open minded enough to listen to some of these people then I would invite them in," she said. "If they're going to be crazy fanatical, then I won't invite them in." Trophy hunting has come under the magnifying glass after a worldwide uproar over the death last summer of Cecil the lion, a famous animal in Zimbabwe that was killed by an American after it was lured out of a national park.